the new ASRock A-Style features and support AMD’s upcoming Kaveri and current Richland/Trinity APUs. is fitted with two DIMM slots to support a maximum of 32 GB memory capacity with speeds of 2600 MHz (O.C+). Power to the socket is supplied through a 4-Pin connector while the PCH rests beneath a aluminum fin heatsink located next to it. from internal header), VGA, DVI, Dual HDMI, PS/2, E-SATA, Gigabit ethernet ports and a 7.1 channel audio jack. The motherboard looks fantastic. two PCI-e x16 slots and a single PCI-e x1. Storage includes 6 SATA 6 Gbps ports and the I/O options are limited. 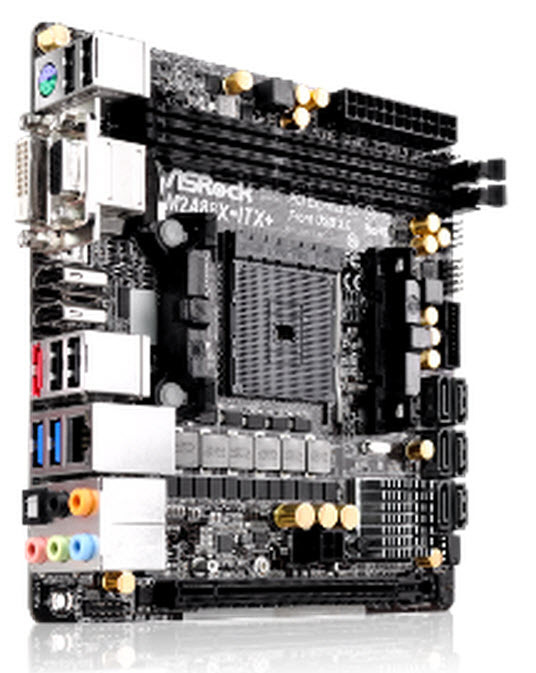 The board is followed by another mainstream model known as the ASRock FM2 A88X Pro+ which is a slightly updated version of the HD+ featuring a 5 phase VRM powered through an 8- Pin connector, two PCI-e x16 slots, two PCI-e x1 and two PCI slots while storage options include 8 SATA 6 Gbps ports. USB 2.0, HDMI, VGA, DVI, Displayport, PS/2, Gigabit Ethernet and a 7.1 Channel Audio jack powered with Realtek ALC892 Audio Codec. USB 2.0, HDMI, VGA, DVI, PS/2, Gigabit Ethernet and a 7.1 Channel Audio jack powered with Realtek ALC1150 Audio Codec. fourth quarter for a price range around sub-$150 US. high-quality pictures to update the article.